This challenge was suggested by one of my closest friends, Libby, who I met 8 years ago when we moved to Sheffield for our first year of University. Our accommodation wasn’t ready in time and so myself, Libby and our 6 other flat mates where put into temporary halls for the first week. We were placed in an old hospital wing of one of the halls due to be knocked down. It was a horrible place and unbearable for poor Lib who has a fear of all things hospital related! After such a traumatic start to University and a wonderful first year of adventures, it’s not surprising that us girls are all still so close. We regularly meet up and spend our time eating, drinking and talking endlessly. Whenever possible, I try to make sure I show up at these get togethers with baked goods for all to enjoy. 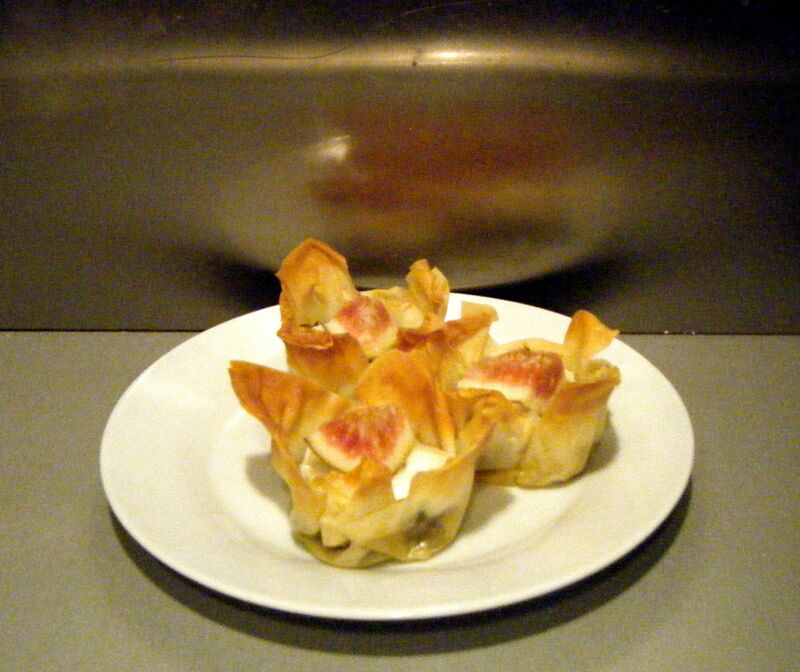 However, Lib managed to suggest not only a dish I had never made but one I’d never even eaten. The, as I have now discovered, truly delicious, custard slice. 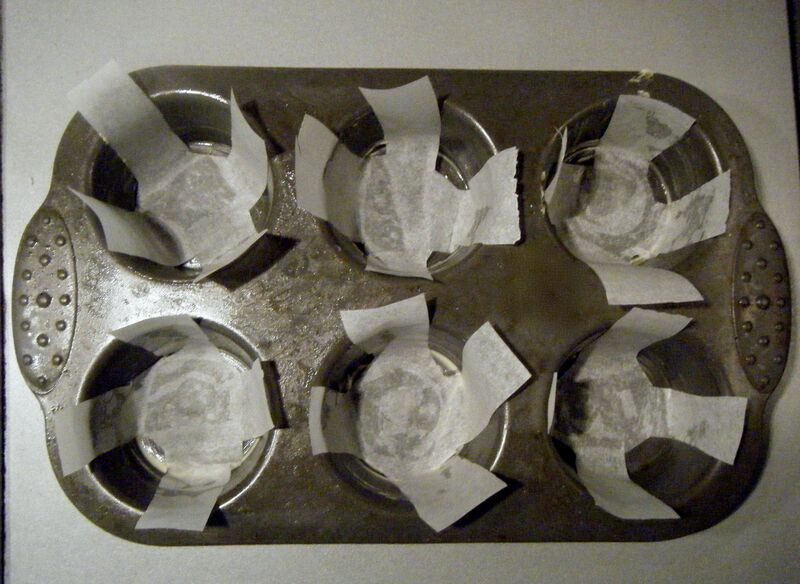 I did a quick search online and found a recipe by Paul Hollywood straight away. I always enjoy making Paul’s recipes and with GBBO back on our TV’s, I thought it was rather fitting to use this recipe. 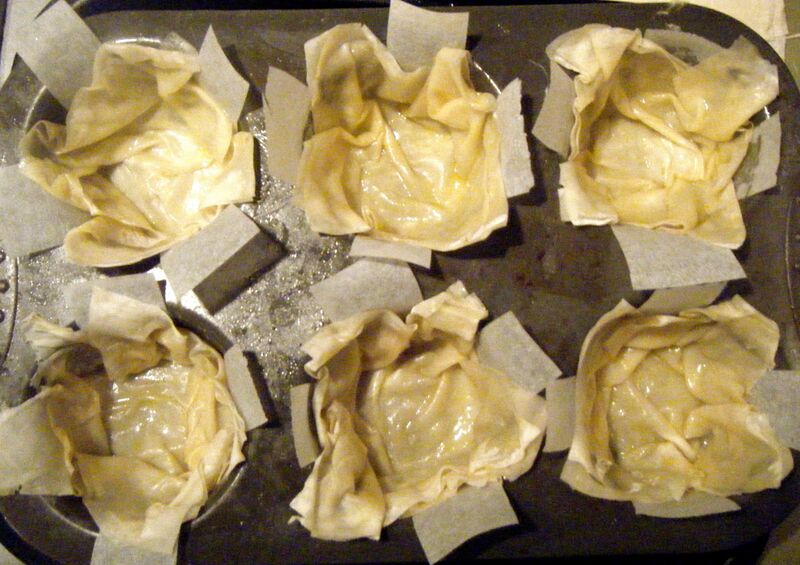 As instructed by the recipe, I started by making the puff pastry. 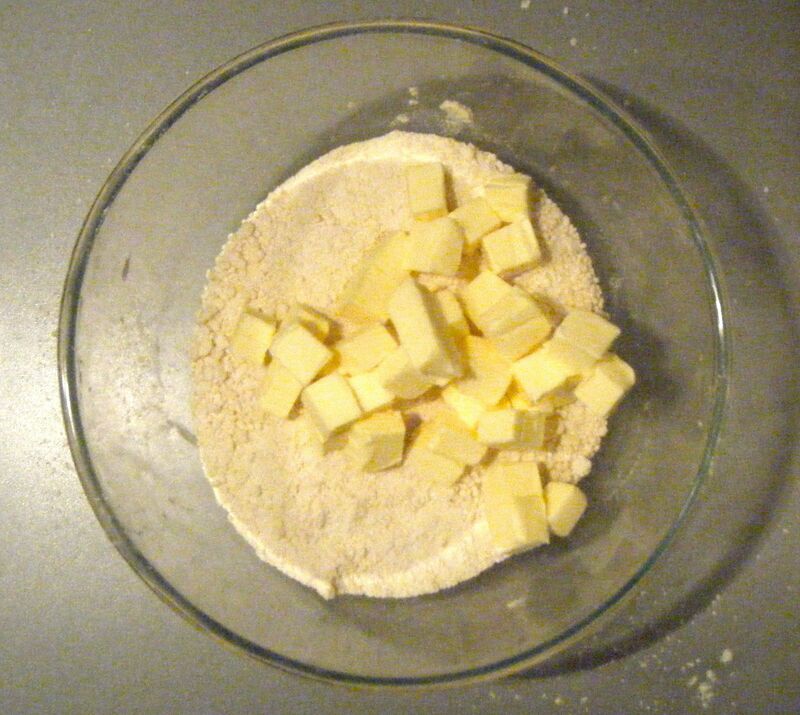 I put the flour, salt and one third of the chilled butter into a large bowl. Making sure my hands were cold, I started rubbing the mixture together until it resembles breadcrumbs. I added the remaining butter (which I kept in the fridge whilst I did the first bit) and gentle rubbed to bring together but being careful to leave some lumps. I then added the water, only a little at a time. 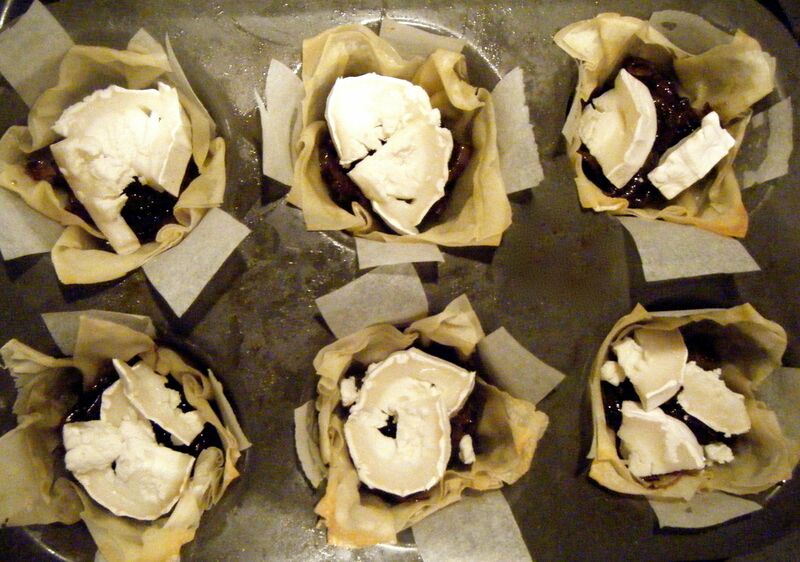 The recipe says to add just enough until the pastry combines. I actually only used 65ml of water. 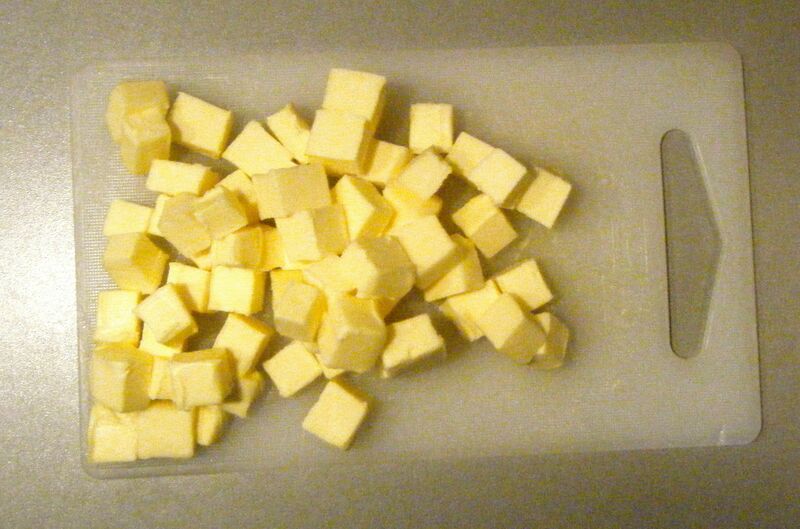 I think this may have been because I rubbed too much of the second lot of butter into the mix so it didn’t need much more moisture. I panicked a little but decided to carry on and see what happens. I floured the worktop and tipped out the pastry. 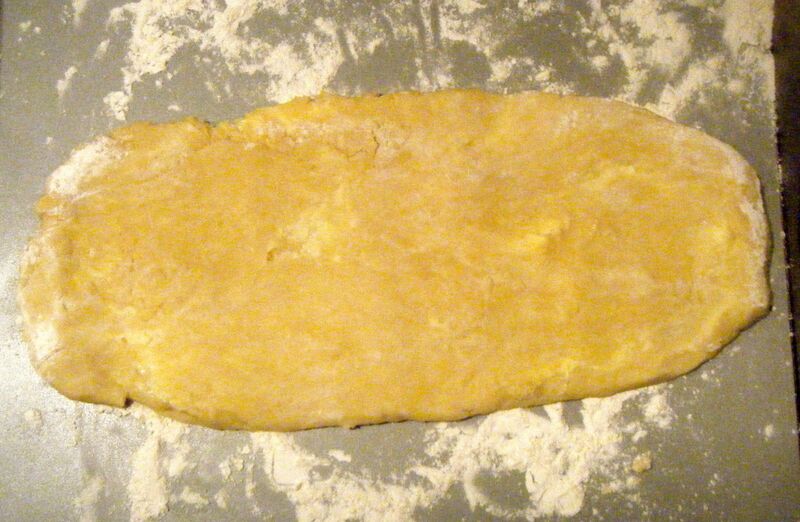 I floured the top of the pastry, turned it over, floured it again along with the rolling pin and then set out rolling the pastry into a rectangle. I then folded the bottom third up and then the top third down. I wrapped the pastry in cling film and popped it in the fridge. The recipe says to put it in the fridge for 10 minutes but because it was quite warm in the flat, I decided to let it chill for 15 minutes. 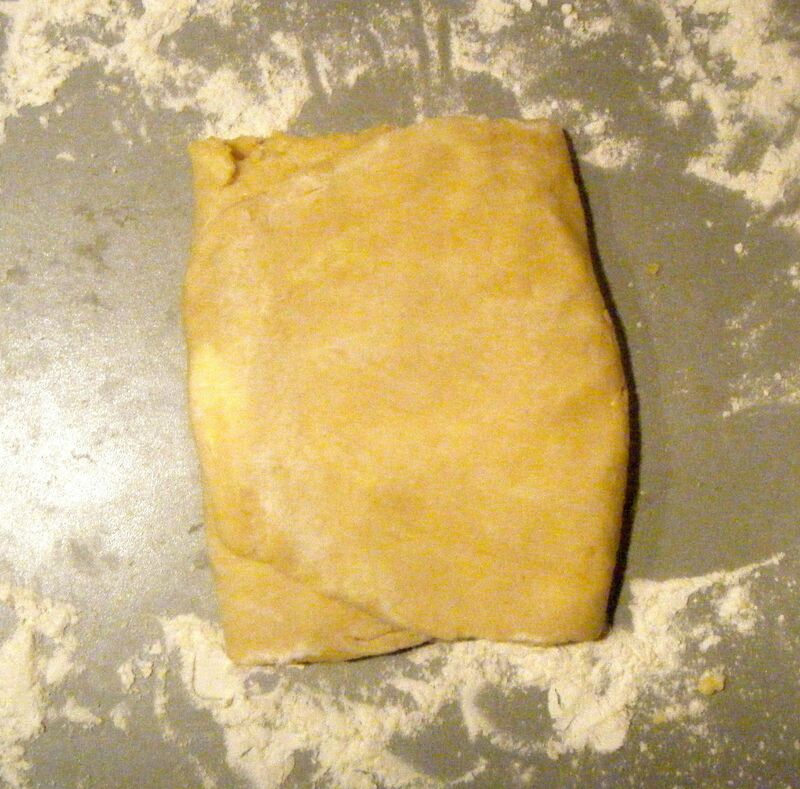 Once the 15 minutes were up, I rolled the pastry into another rectangle, folded the bottom third up, top third down and popped it in the fridge for another 15 minutes. I then repeated the step for one final turn before letting the pastry rest in the fridge. Next up, I got started on the crème pâtiessière. 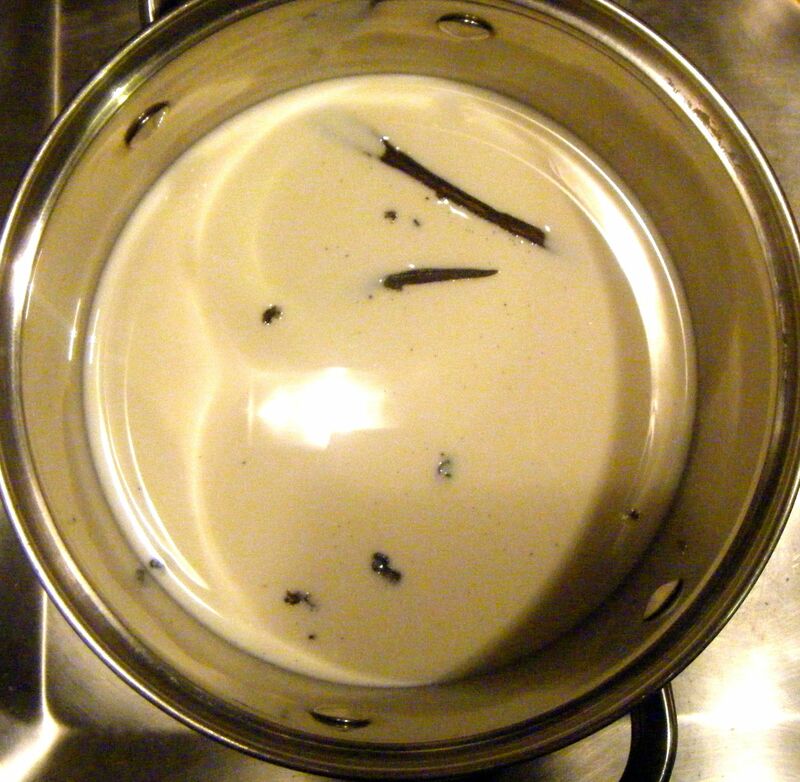 I put the milk in a pan over a low heat and added the vanilla pod and seeds. 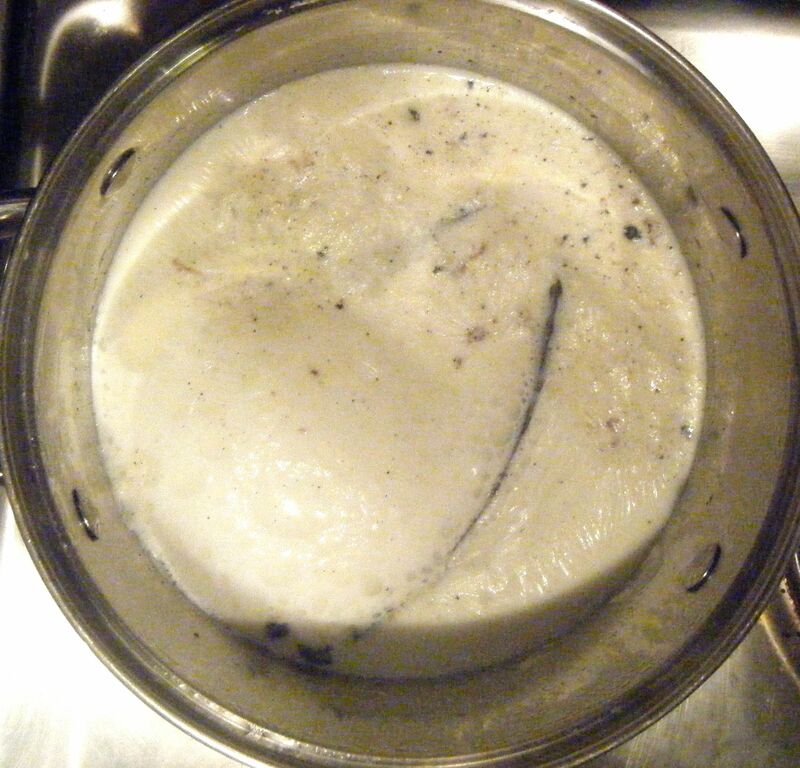 Practical tip: the difference between scalding and boiling milk is very small. 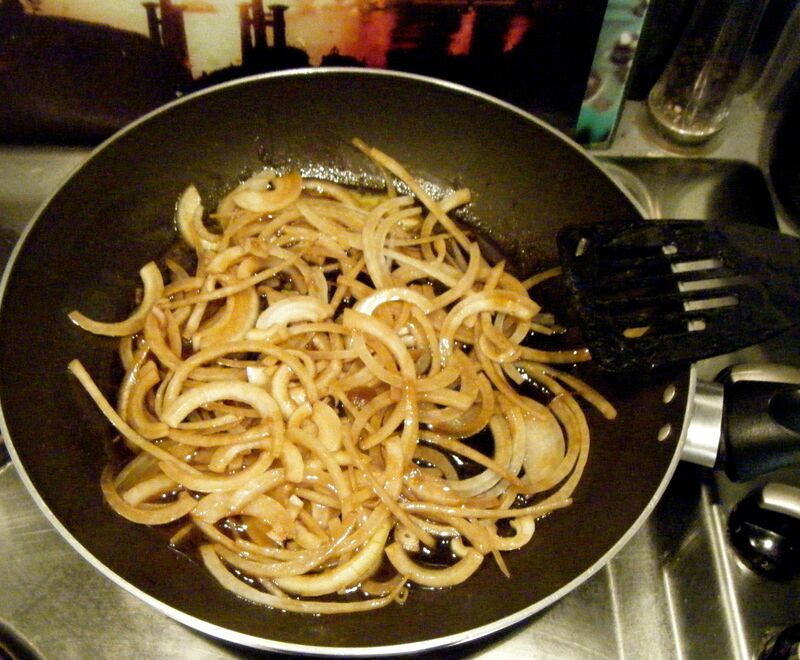 If you have a heavy based pan, this is easier to control but you still need to be careful. Make sure you keep the heat low and be patient. Stir the milk occasionally and keep a close eye on it. Reaching boiling point will happen all of a sudden and the milk will start to foam and bubble up. 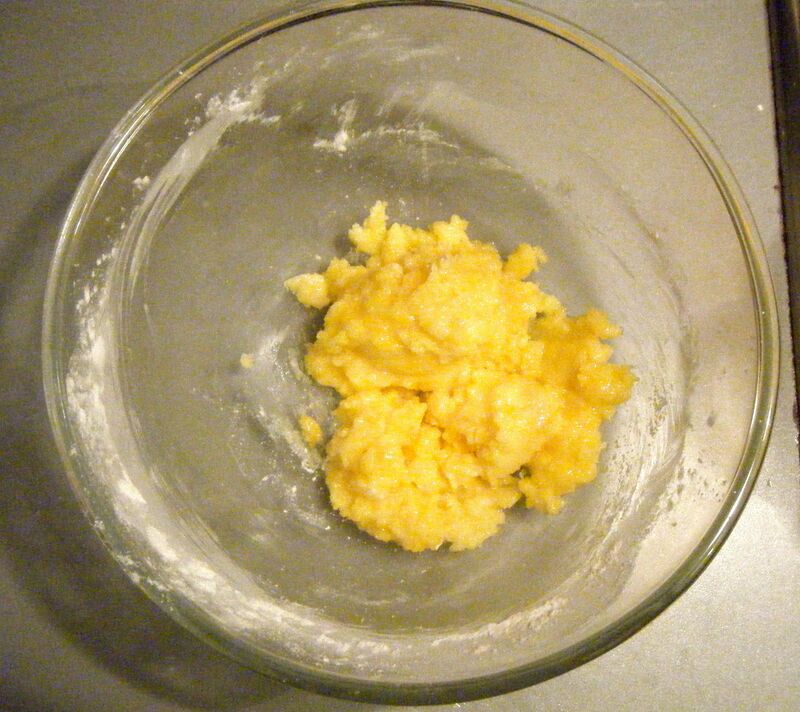 Whilst I was waiting for the milk to boil, I put the caster sugar and corn flour into a bowl and got my egg yolks ready. 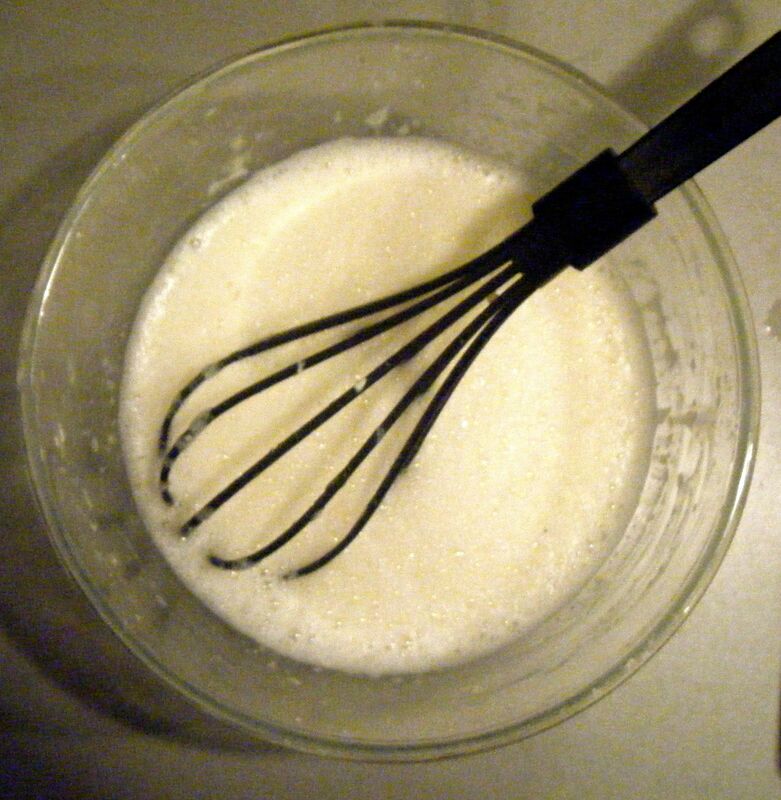 As soon as the milk started boiling, I took it off the heat and added the egg yolks to the sugar/cornflour mixture, whisking it together with a balloon whisk. 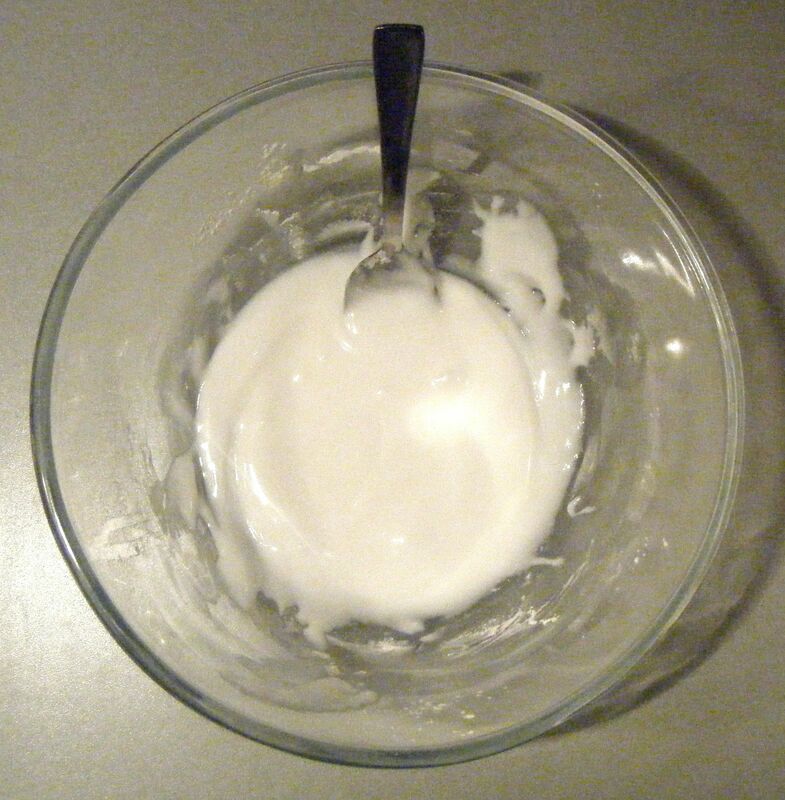 I then added a small ladle of the hot milk and whisked until combined. 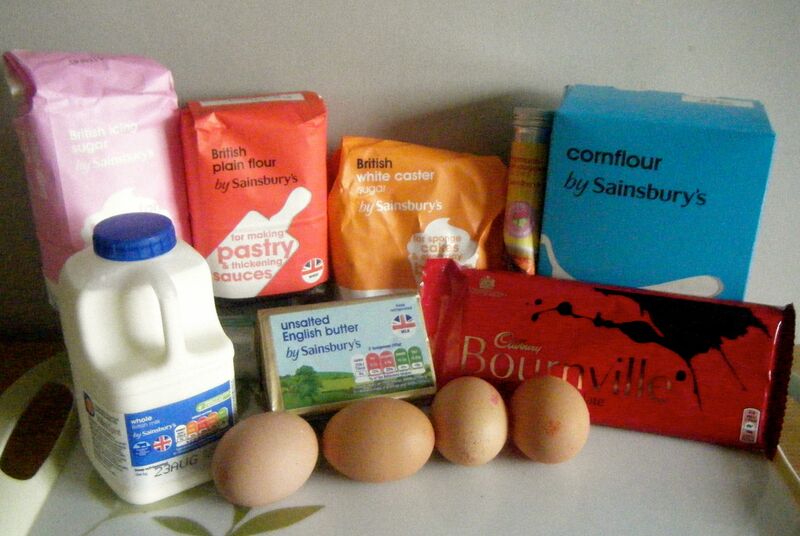 I gradually added the remaining milk, being sure to whisk continuously as I did so. I returned the milk mixture to my pan and popped it back on a medium heat. 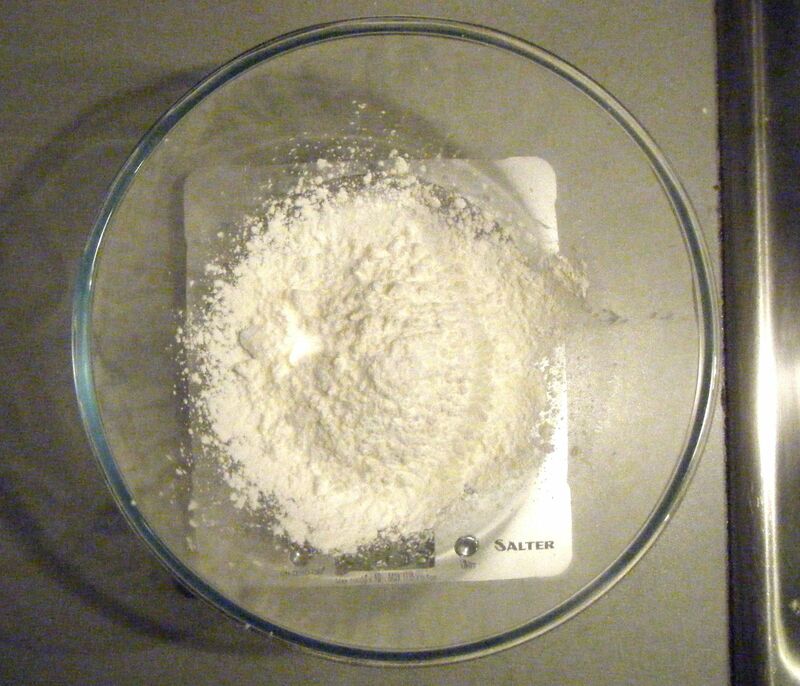 I stirred continuously with one hand whilst searching on the internet for a video to show me how thick the mixture should be. 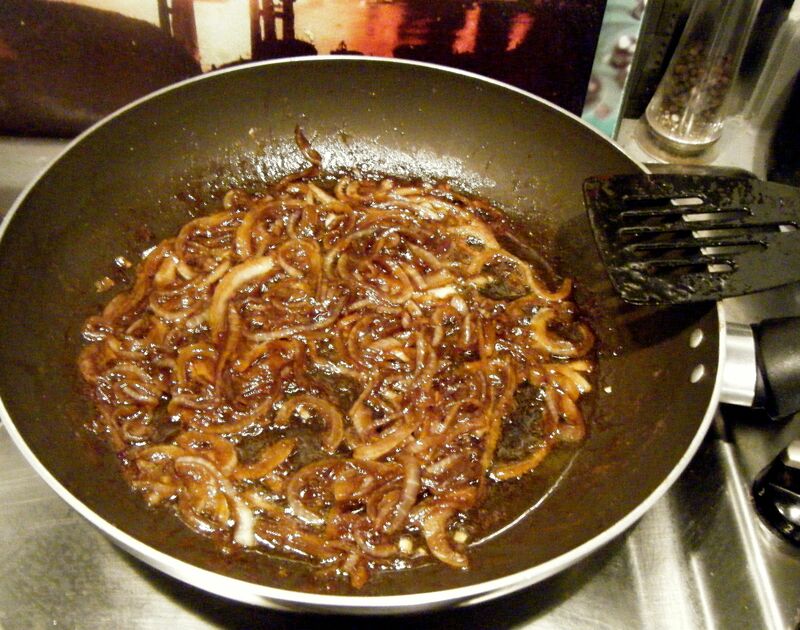 Just as I found a third video (which I hoped would be more helpful), it happened…the mixture started to thicken! Lumpy at first but I kept stirring, pausing only to assess whether it had reached boiling point again. After less than a minute, I had a lovely thick, smooth custard. 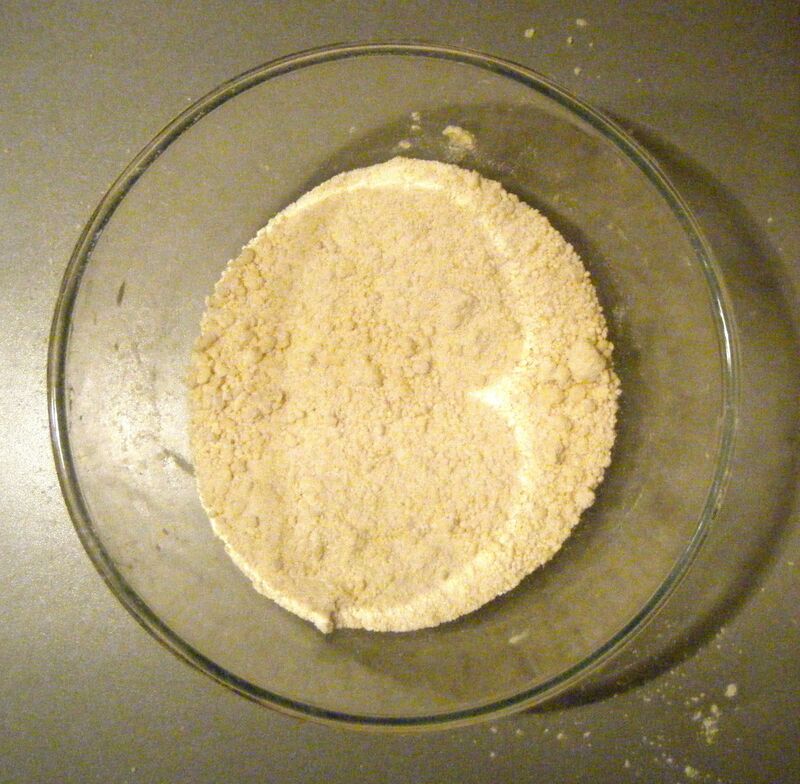 The recipe then says to pass the mixture through a sieve into a clean bowl. I might need a new sieve or maybe this is normal but it took me a lot of hard work to do this! 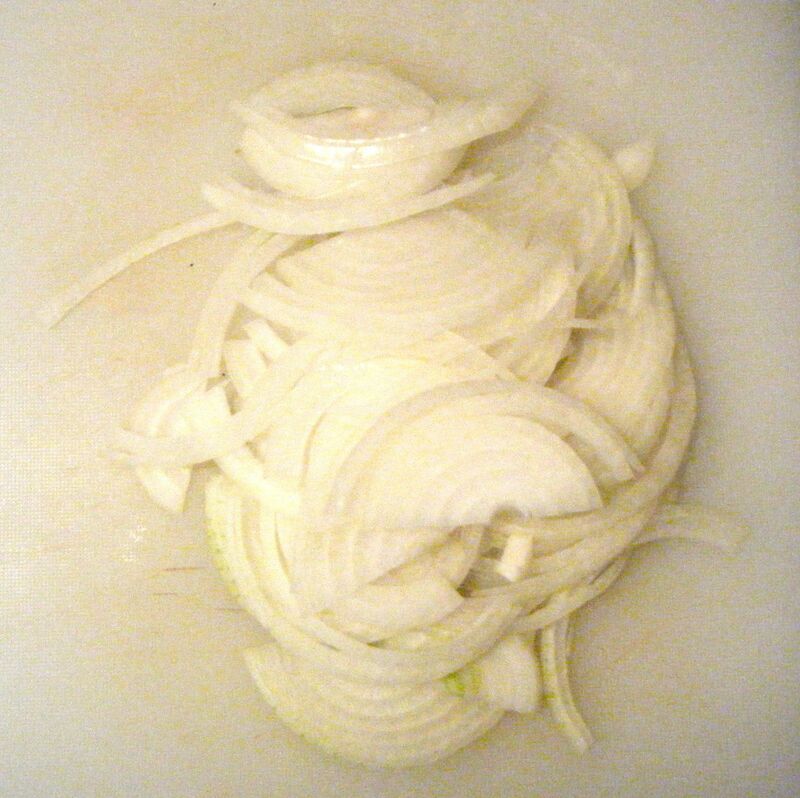 Finally after a vigorous 20 minutes, during which I had to strip off a layer of clothing and tie my hair up, I had pushed near enough all the mixture through the sieve. I then added the butter and mixed until it was melted. 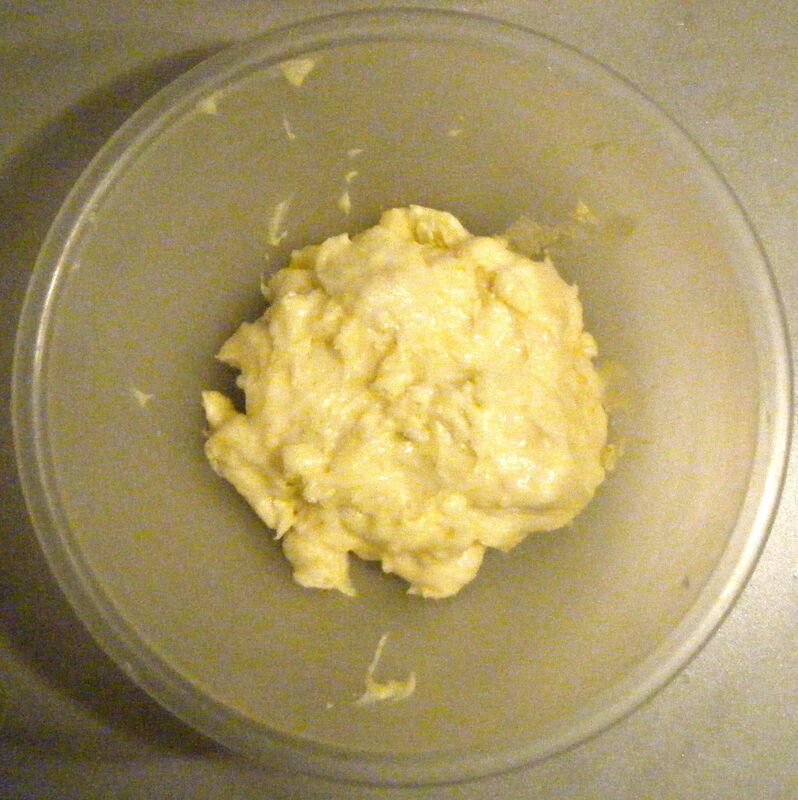 I’d kept the butter in the fridge thinking the mixture would be very hot but after the 20 minutes it took me to sieve it, most of the heat was gone. I therefore decided to chop the butter into small pieces to help it melt properly. 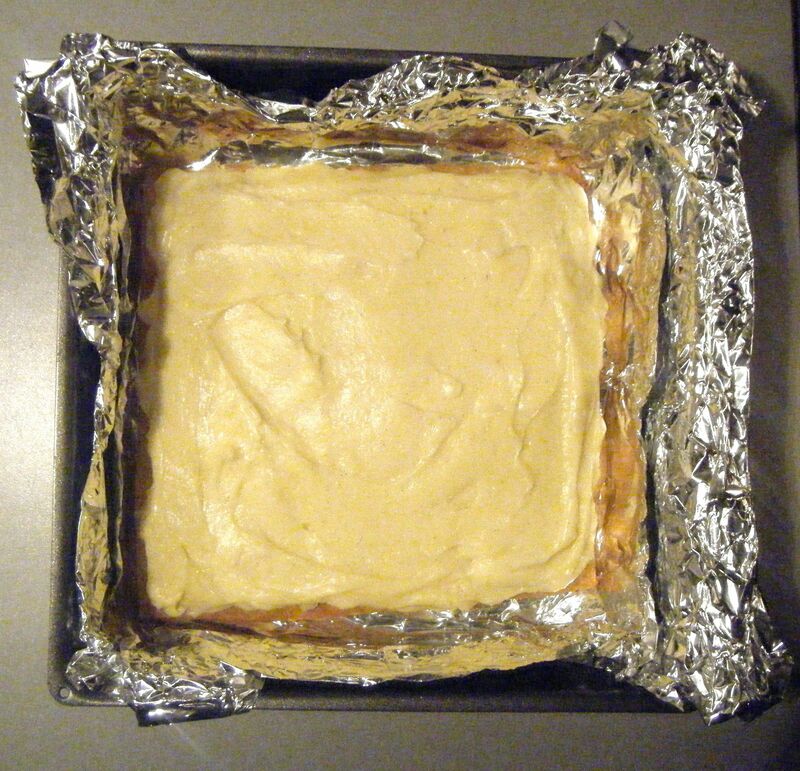 I let it cool for a further 5 minutes and then covered the crème pât before putting it in the fridge to chill. 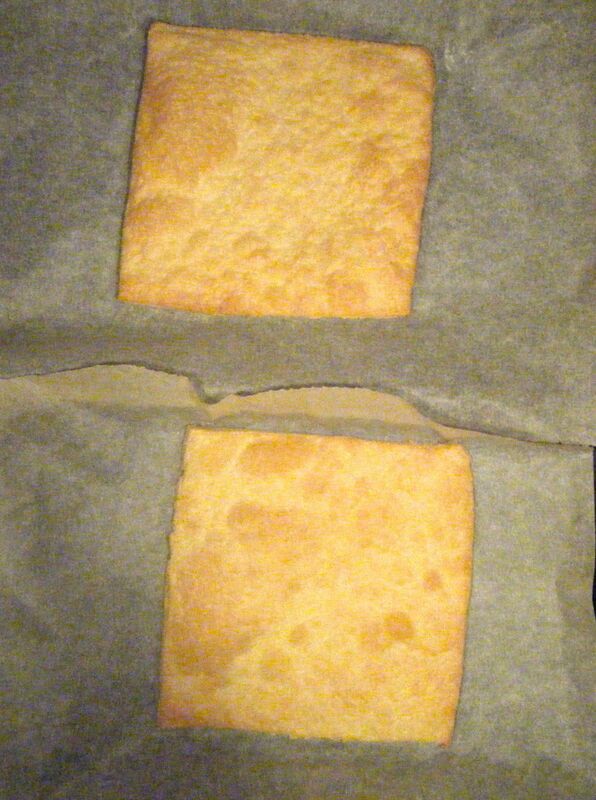 I took the pastry out the fridge, divided it into two equal pieces and rolled each into a 20cm square. 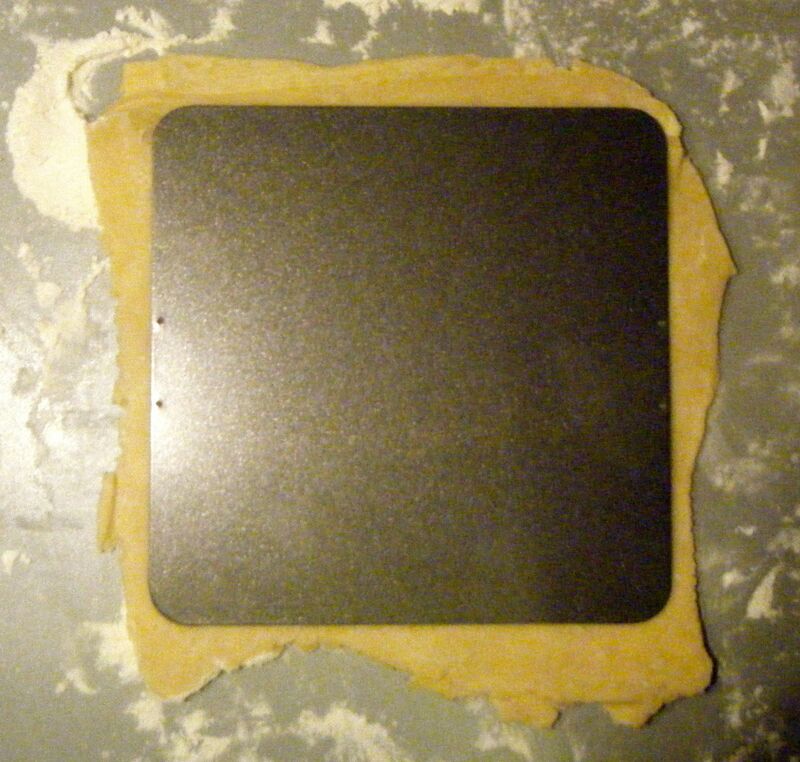 I used the base of a 20cm tin to trim the pastry to size. I placed each square onto a tray lined with baking paper and popped it in the fridge for another 15 minutes whilst I tucked into our takeaway dinner which had arrived whilst I was fighting with the sieve! 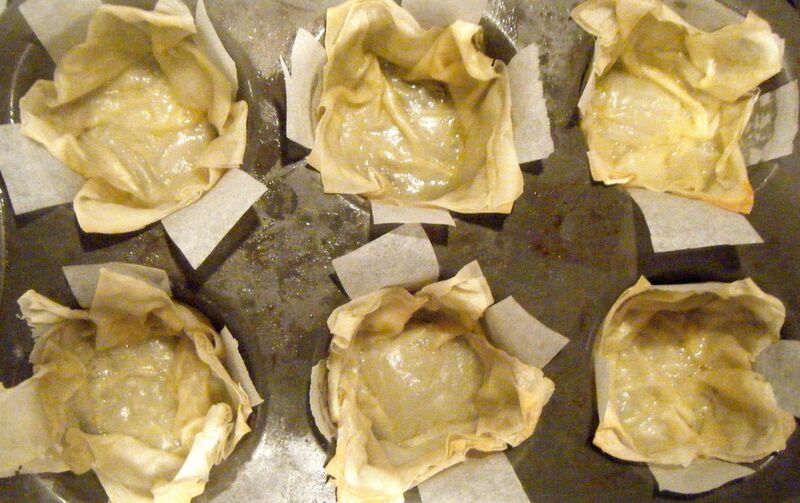 Once chilled, I popped the pastry into a pre-heated oven on 220 degrees celsius for 15 minutes. I had to use 2 trays which wouldn’t fit on one shelf together so after 5 minutes, I switched them over. And then again after the next 7 minutes. 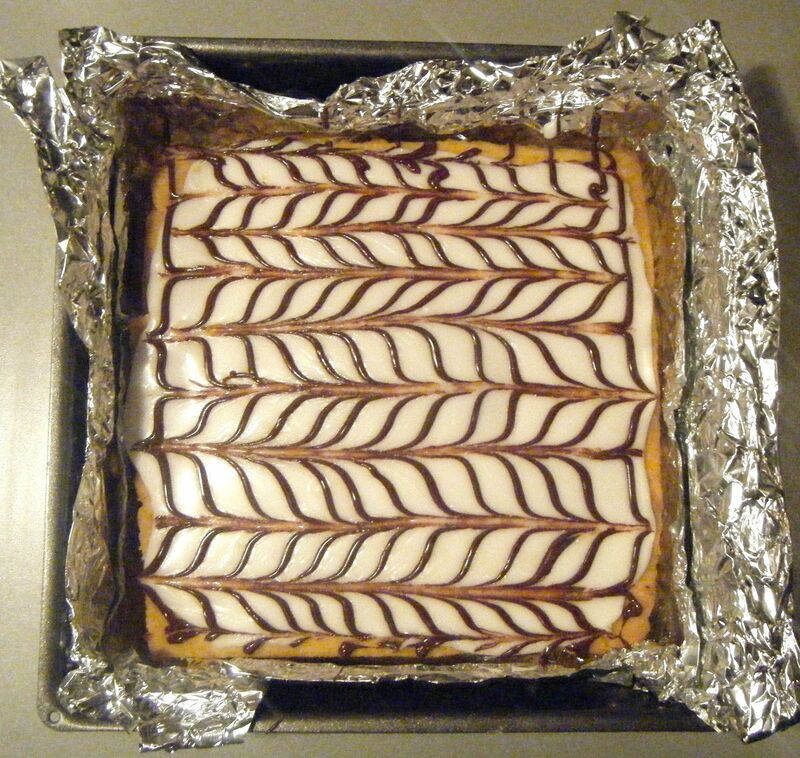 Once they were cooked, I left the pastry squares to cool on the trays. 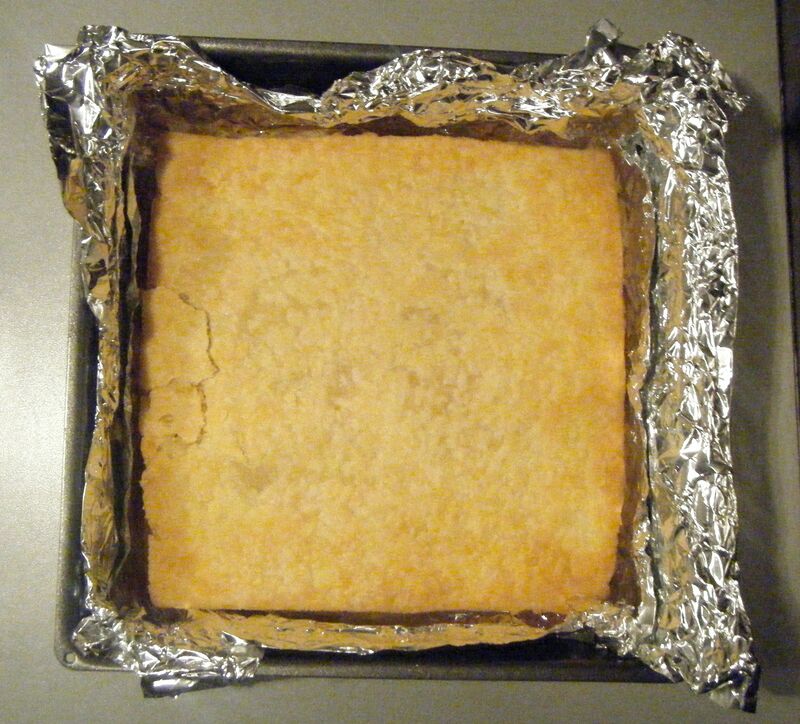 I lined a square tin with foil and then placed one of the cooled pastry squares into the bottom. 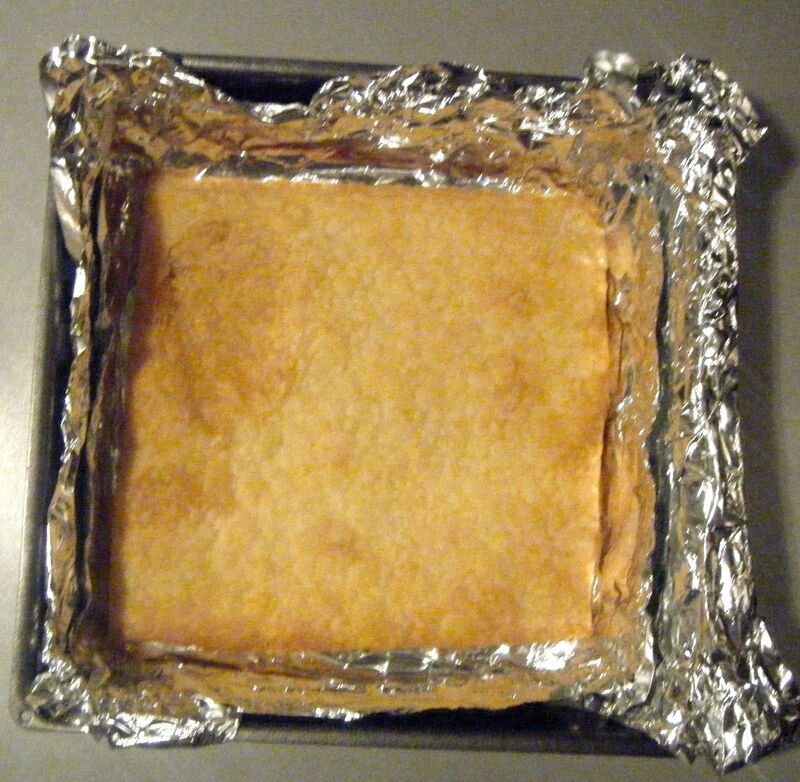 The recipe says to use a 23cm square tin but the pastry looked a bit lost so I took it out and transferred the foil to my loose base 20cm square tin before adding the pastry again. I spooned the crème pât onto the pastry and used an icing spatula to spread it out as evenly as possible. 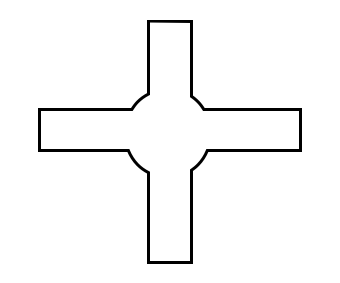 I added the second pastry square (which broke slightly!) and got started on the icing. 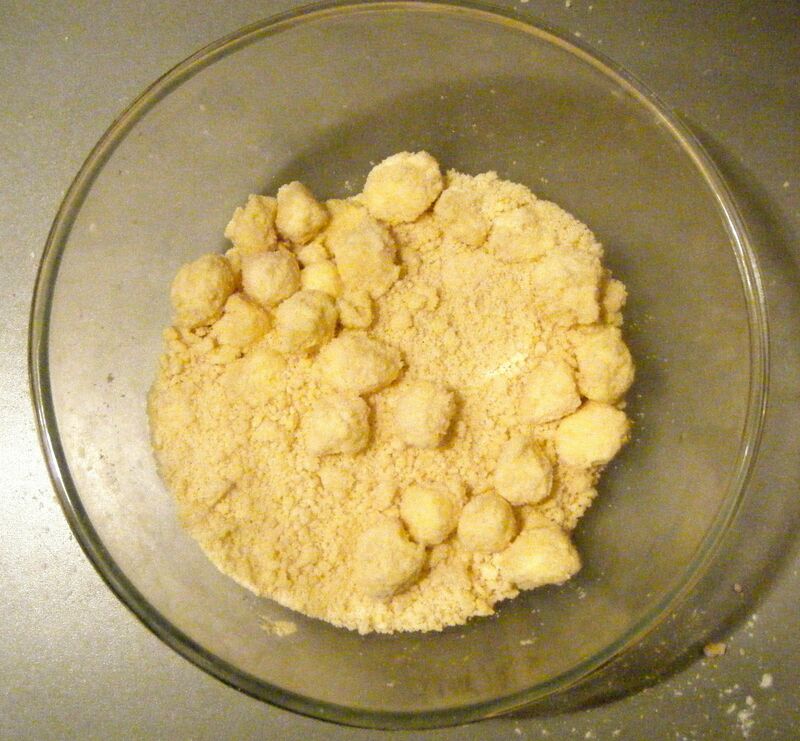 I sifted the icing sugar into a bowl and gradually added the water. I used a little more than the recipe suggested as the mixture felt too stiff to be able to spread on the delicate pastry. If you do this, just be careful to add a small amount at a time, it’s amazing how quickly the icing can turn from being too thick to being too runny. I let the icing to one side whilst I melted the chocolate. To do this, I put the squares into a mug and popped it in the microwave for around 30 seconds, string part way through. I then gave it a good mix until it was nice a smooth. I took a disposable icing bag and put it into a glass without cutting the bottom. I added the chocolate and left it to firm up slightly whilst I iced the top of the pastry. After the chocolate had cooled slightly, I snipped off the corner of the icing bag to leave a very fine ‘nozzle’. I then piped parallel lines onto the white icing. I started off with 5 (not very evenly spaced) lines and then decided I could pipe some more in between each of them. 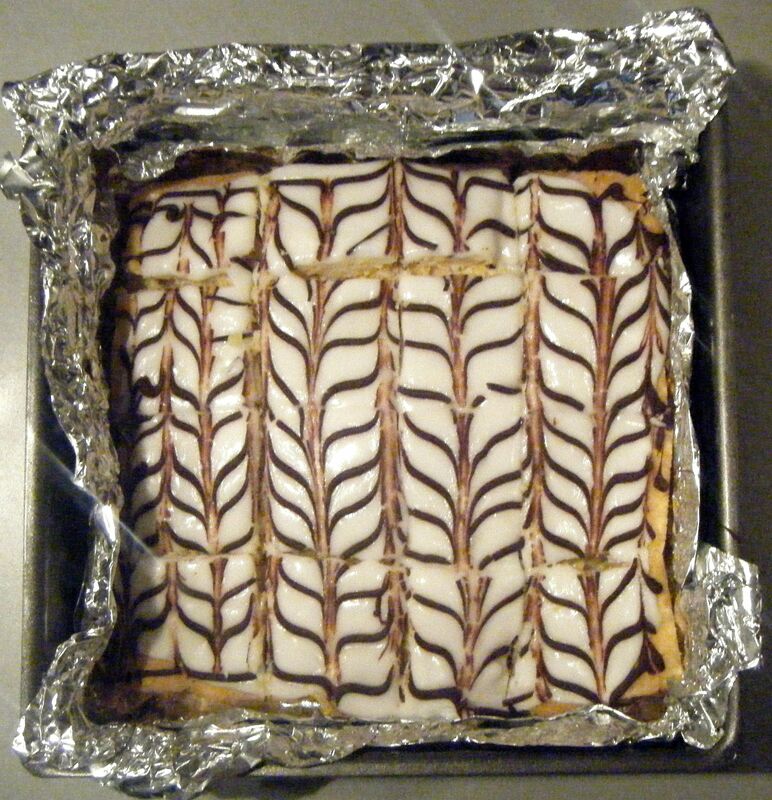 Once there was enough chocolate lines, I took a tooth pick and pulled parallel lines across the melted chocolate and icing in alternating directions to create the feathered effect. I had never done this before and was impressed with how easy it was to make the decoration look so good! 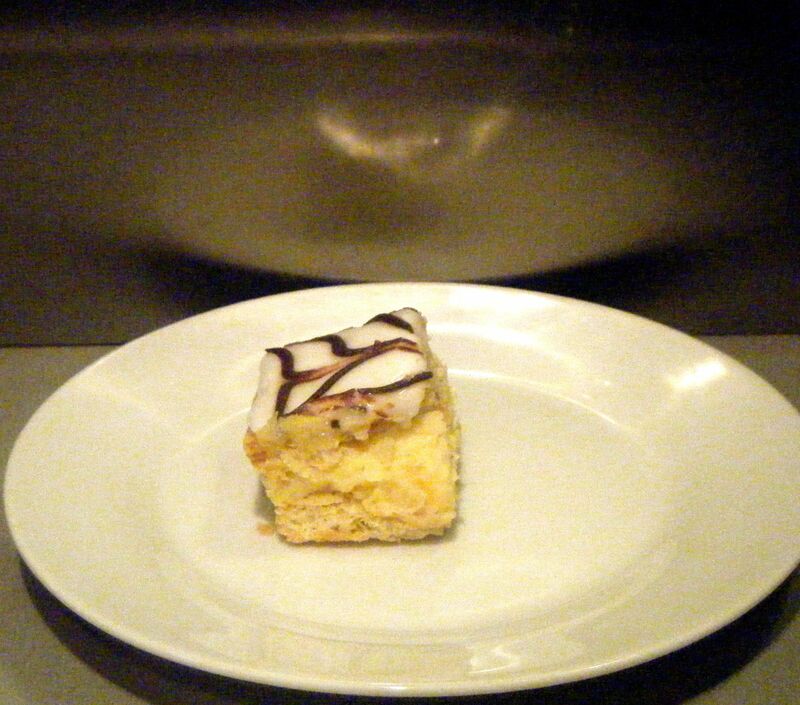 I then put the finished custard slice back in the fridge to set over night. The next day I used a sharp knife to cut it into small squares and boxed them up to take with me to Doncaster, where I was due to spend the day with 4 of the girls from University and one of their parents. Unfortunately, Libby wasn’t at this get together and so didn’t get to try her suggested challenge. However, everyone who got to try them said they were very delicious. I personally was really impressed with these. This challenge pushed me to try new techniques in making puff pastry and crème pât, both of which turned out really well. Plus, I discovered a new sweet treat favourite! As I write this, I’ve just had one of the left over slices (well there weren’t any left over from Doncaster, but I sneakily kept a couple of squares at home for me and Dave) and they really are absolutely yummy! Coming up next week, Challenge No. 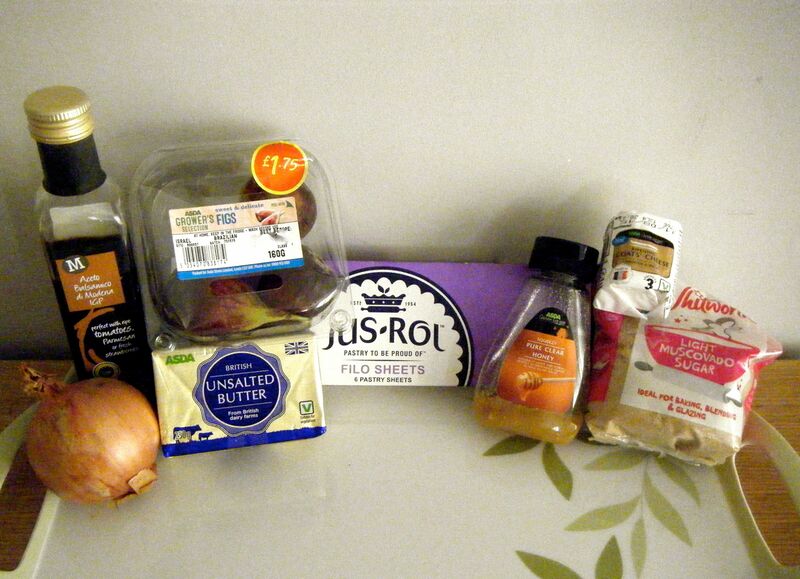 34 – sausage rolls.